I have found a place where roads intersect, where things bleed from their unknown source and flow into the dark places, forming shape to the questions in my mind. As I've walked these roads through my life they have been a maze, with small clues offered here and there to entice me further. I have not always walked them alone and traverse them as if blindfolded. I have been haunted—or perhaps accompanied—by someone, waiting. I hold a hand in the dark who is always guiding, leading, encouraging, whispering, pushing, releasing, hiding, appearing again. I see these roads as veins and now a gate has opened. Blood carries me along its river to the heart. 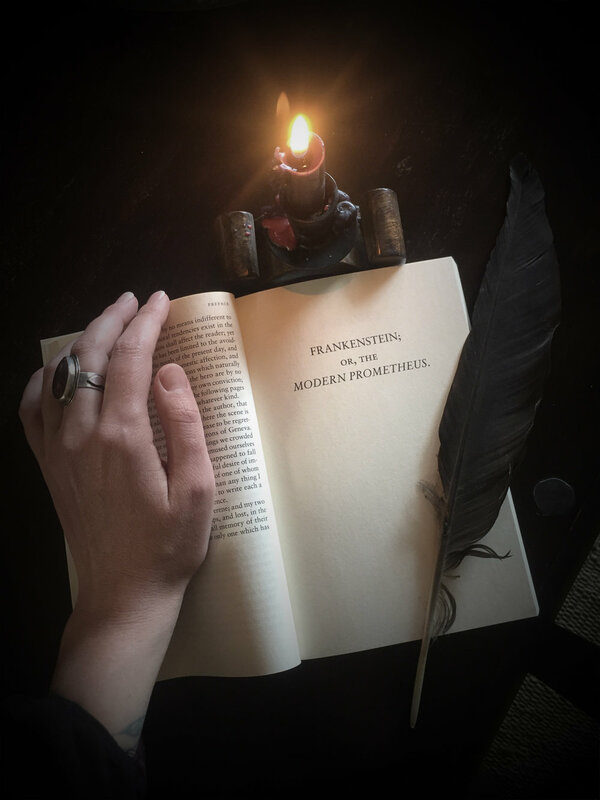 I have not ever read Frankenstein, I stayed away from it, always repulsed by the way our pop culture has spread the story with cheap Halloween costumes, awkward films, and a general humor surrounding it that is not at all appealing. I recently watched Frankenstein Chronicles and the more I fell into the story, it stirred something down very deep in me. 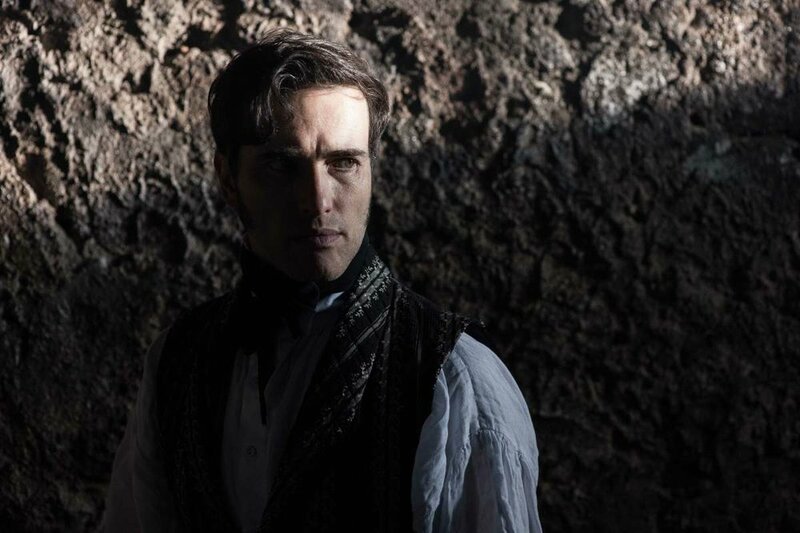 I saw Mary Shelley for her genius, oh how she was not a comic book writer! I love few things more than gothic horror, dances and battles with supposed masters of the mind, the mystery of life after death, Victorian science, the question of God vs Nothing; and here are all of those things in one place. I have been up late into the night, reading about her and the time period, where she gathered inspiration for her novel, European scientists and alchemists and their unnerving experiments into raising the dead. My dreams take me to old underground stone laboratories where I watch these things as if I have traveled back in time. I've become engrossed with it all. I decided it's about time I get a copy of the original text to read. While I was away in Washington, over and over I felt a great need to begin a new road. Whispers, coincidences both puzzling and plain, told me I must write, 'Abandon everything requiring vital energy in your life—even your Art—and write'. At first there was a lot of resistance to this yet I have learned to listen to this voice above all others. It takes me to truth. A book I have yet to read (it arrived today!) has been a key and many roads have intersected. I find myself at their cross, piecing together my own beloved monster whose limbs and elixirs I have held but knew not how to connect and revive. Now I am understanding, remembering, and a story that I have been trying to write for a very long time is rising.